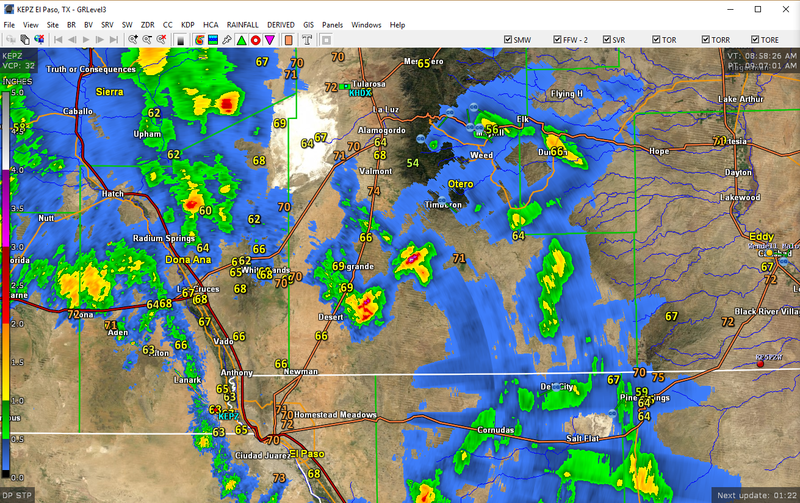 Rain All Around The Pecos Valley Of SE NM. Lots Of Virga Over The Sacramento's On May 9, 2017. Looking Southwest At Sierra Blanca Peak From Near The Monjeau Lookout. 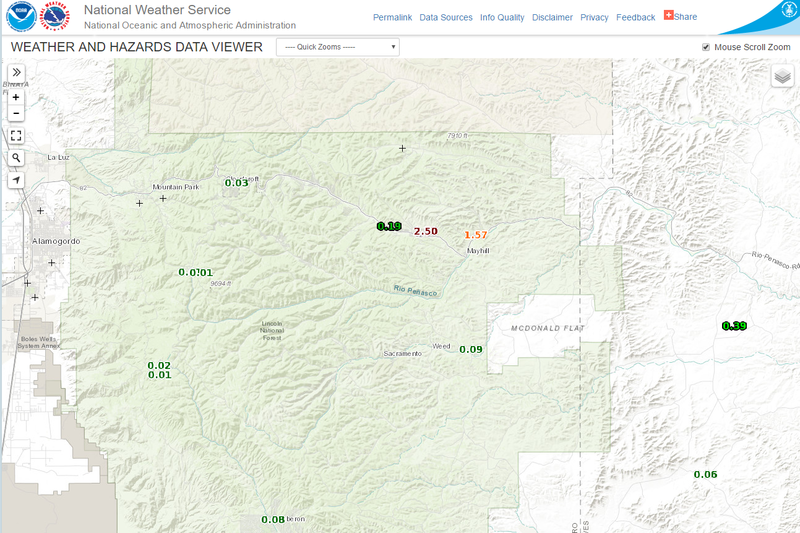 (As Of 9:11 AM MDT This Morning). GRLevel3_2.00 Using The Midland NWS Dual Pol Doppler Radar. 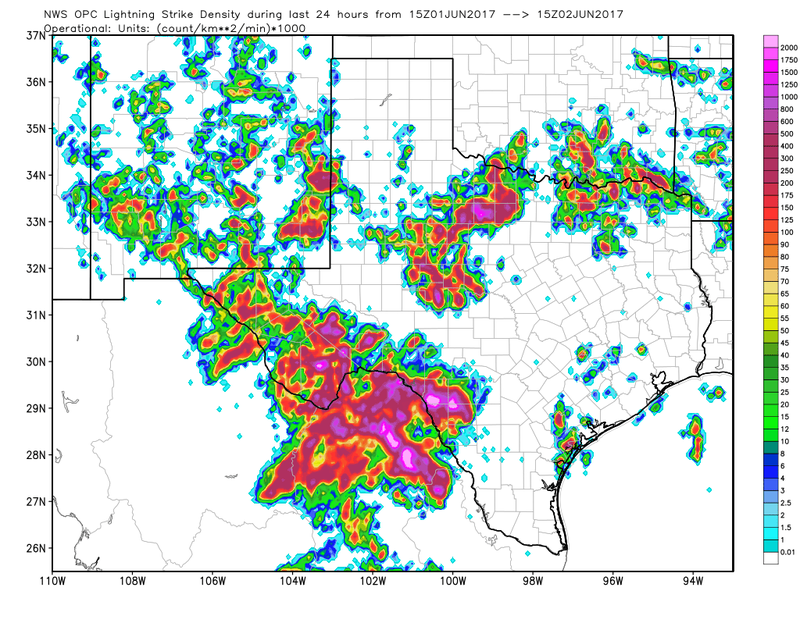 Scattered thunderstorms dotted the landscape across Southeastern New Mexico yesterday.This activity become more numerous around sunset as a large complex of thunderstorms known as a Mesoscale Convective System (MCS) developed over Southern New Mexico and far West Texas, and then moved slowly into Southeastern New Mexico. 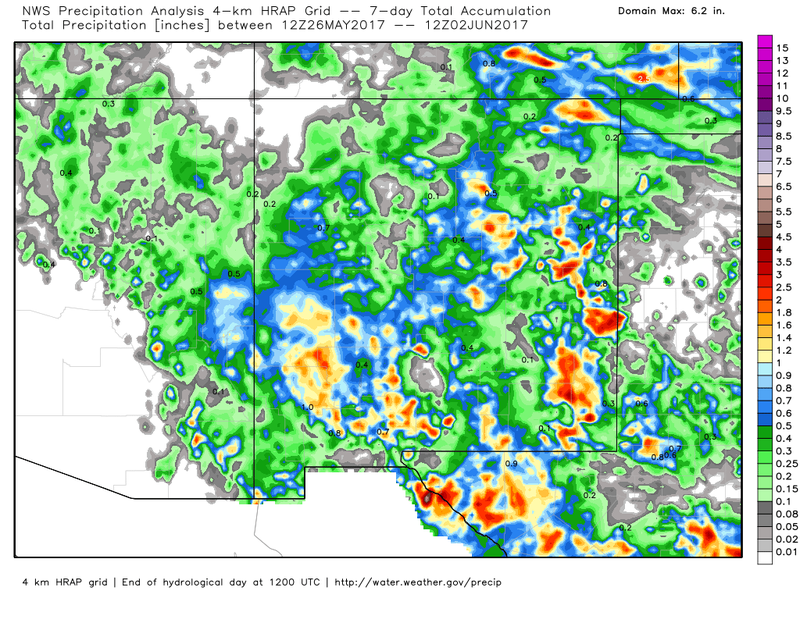 Locally heavy rainfall occurred in several areas but as has been the case for the last four or five days most of the Pecos Valley missed out. 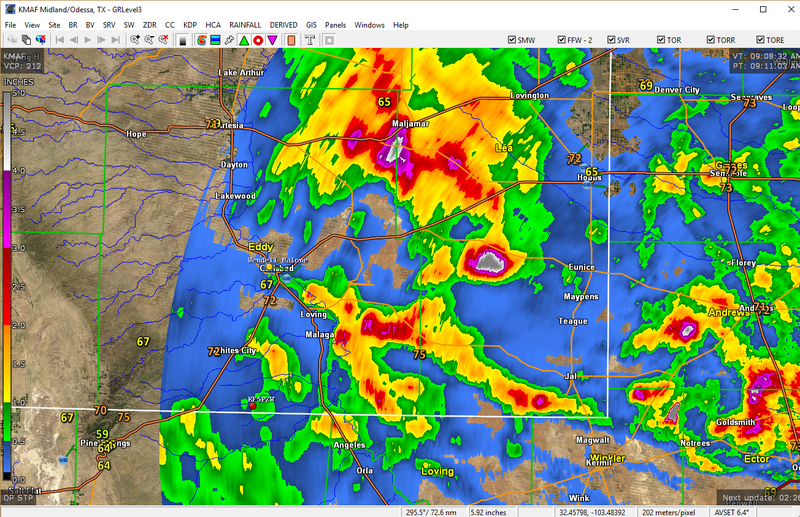 The heaviest rains fell over and near the Caprock east of Artesia and Carlsbad. 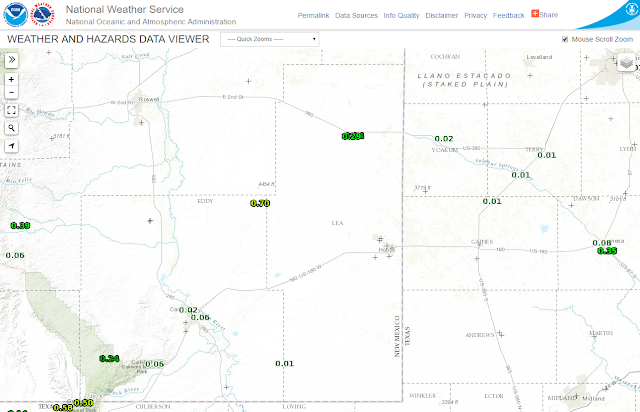 Radar estimates in the range of 4" to 5" were noted just south of Maljamar and west of Eunice although I suspect that these totals were too high because of hail cores within the thunderstorms causing the radar to overestimate the rainfall totals. The Mayhill CoCoRaHS Station 2.8 WNW of Mayhill recorded 2.16" of rain as of 9 AM MDT this morning. The Queen CoCoRaHS Station recorded .60". GRLevel3_2.00 Using The Santa Teresa NWS Dual Pol Doppler Radar. 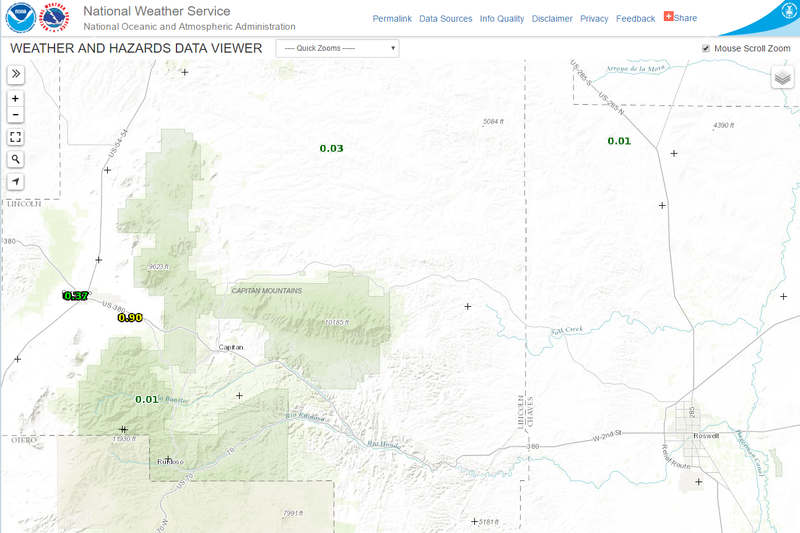 Thunderstorms dropped scattered pockets of heavy rainfall over parts of Southern New Mexico yesterday afternoon also. 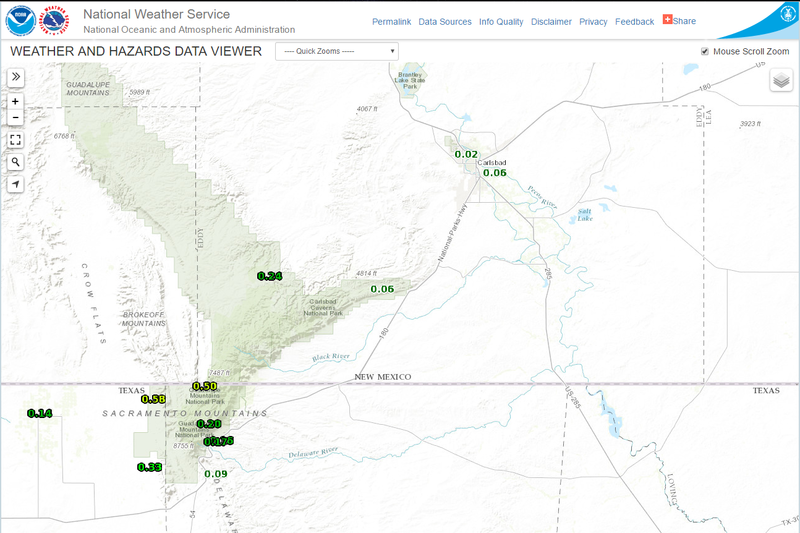 Heavy rains fell in the Mayhill and Dunken areas. A personal weather station recorded 2.50" of rain just west of Mayhill. Estimated Rainfall Totals Over The Past Week. Most of the cloud to ground lightning strikes over the past 24 hours (locally) have been over the Guadalupe and Sacramento Mountains and the Caprock northeastward to the Clovis and Portales areas. 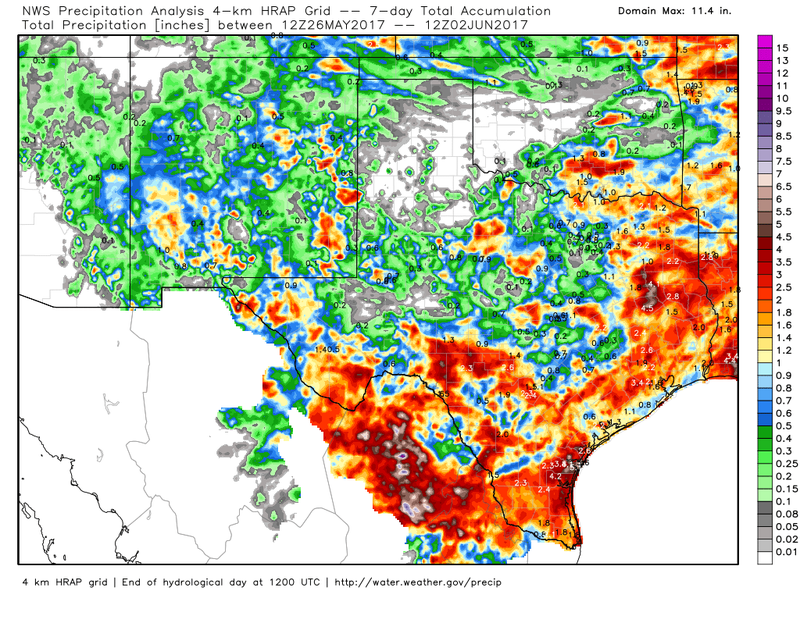 Note the concentrations just south of the Big Bend in Northern Old Mexico! Our chances for additional thunderstorms and locally heavy rainfall continue to look good for today into Sunday. Localized flash flooding will be possible with any thunderstorm that produces heavy rainfall. This will be especially true over areas that have already received heavy rains and with any area that experiences training thunderstorms and Mesoscale Convective Systems (MCS).